Join us in building a robust community that connects and supports Black alumni! 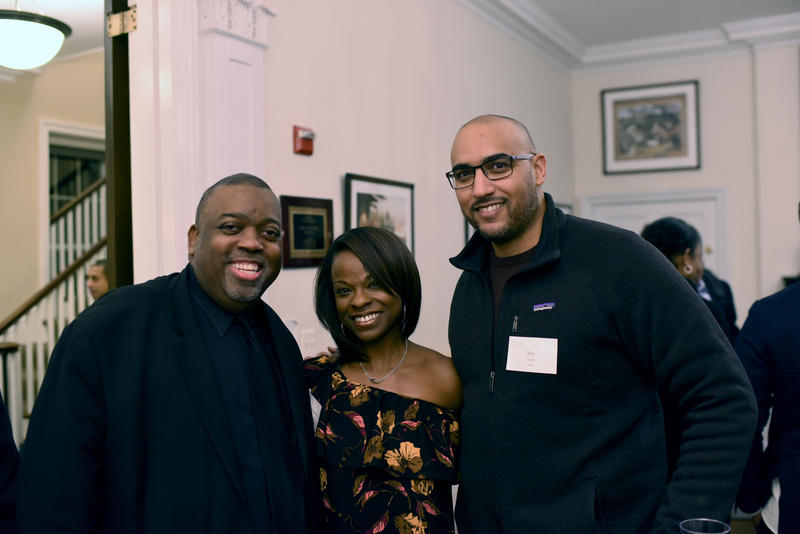 Propelled by a groundswell of interest, the Black Alumni Alliance (BAA) has formed to create opportunities for alumni who identify as Black and African American to extend and enhance their relationship with Sidwell Friends. Wherever you are in your life now—working in DC or living halfway around the world, studying for finals or starting a family—you are invited to join Black alumni in celebrating excellence, forging relationships with fellow alumni, and deepening connections to current Sidwell Friends students and faculty. There are no forms or membership fees: if you are a Black alumnus or alumna, you are automatically part of the BAA and are welcome to take advantage of all BAA programming. And there’s no better time than now to get involved: your voice and insights are vital to creating a welcoming space that best serves the needs of the Black alumni community. Come join us at an upcoming event to converse with fellow alumni, or reach out with suggestions about content or programming that would be meaningful to you. Join fellow alumni for a half-day summit designed to engage alumni in conversation with each other, as well as with current students and faculty, on a variety of topics. View Current Schedule of events and speakers [PDF]. The Sidwell Friends Black Alumni Alliance (BAA) unites Sidwell Friends alumni from around the world who identify and are allied with Black and African-heritage diaspora communities. The BAA fosters intergenerational relationships between Black alumni, highlights and celebrates alumni contributions, and creates meaningful social and professional engagement opportunities between alumni. The BAA also builds purposeful connections to faculty, students, and the life of the School, enhancing Black alumni pride, participation, and philanthropic commitment to Sidwell Friends. All Sidwell Friends alumni who identify as black and African American are welcome as members of the Black Alumni Alliance. In addition, the BAA has an Advisory Council made up of alumni volunteers who provide guidance on programming, communications, and engagement opportunities. The Advisory Council may also be called upon to provide support and feedback to Sidwell Friends administrators with regard to Equity, Justice and Community (EJC) programming and initiatives. What does Equity, Justice and Community at Sidwell Friends mean? Learn more about how Sidwell Friends is exploring questions about race, equality, and empowerment in the context of our community and the world shapes how we teach and learn.